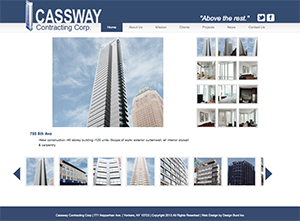 Design Burd Inc.A Major Upgrade for Cassaway | Design Burd Inc.
Cassaway Contracting wanted a redesign and we were happy to do it for them. This new chic design has a brand new header and navigation. We've also enhanced the SEO as well as creating a customized gallery for the site.